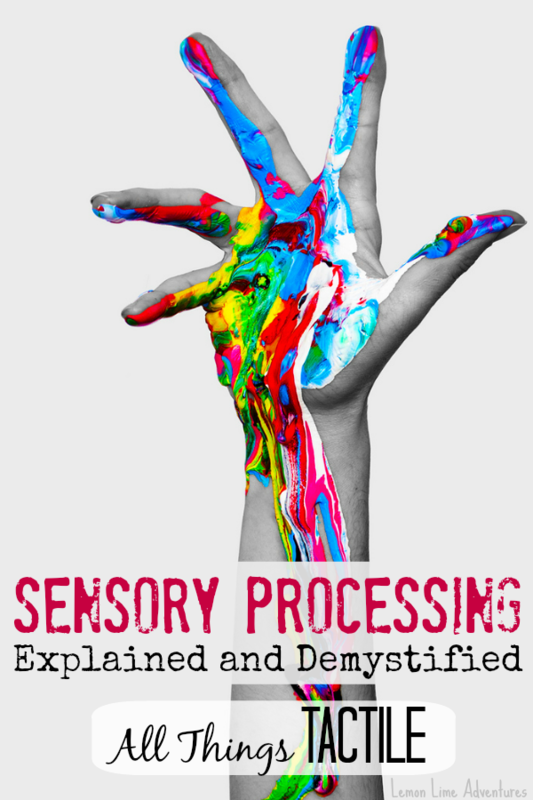 Sensory Processing can be such a confusing topic. From terms you may have never heard of to the spectrum of ways it effects all of us, it can be overwhelming. 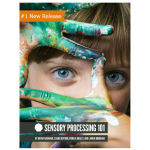 That is why I am excited to join with my friends at The Inspired Treehouse, a group of pediatric physical and occupational therapists, to bring you this series on all things Sensory Processing. This month we are talking about Tactile Input and its importance for growth and development in kids. Just like last month, I will attempt to explain an aspect of Sensory Processing from my perspective. I will not attempt to use medical terms, explain what I don’t understand myself, or pretend to be an expert. 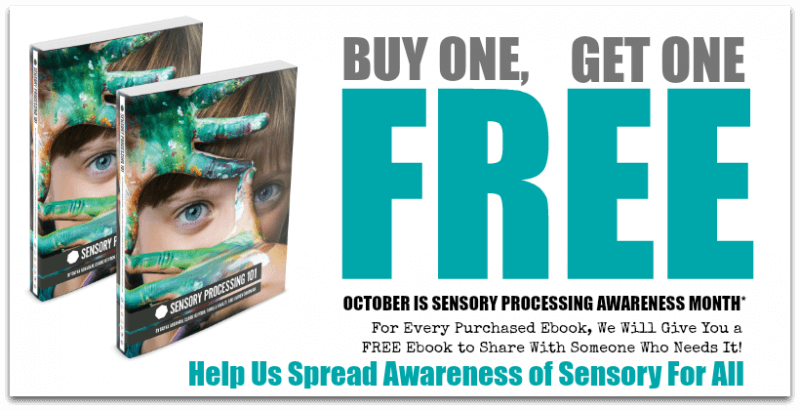 My good friends, at The Inspired Treehouse, will bring you their take on the same topic, giving you a better understanding of Sensory Processing. Unlike the Vestibular system, tactile input doesn’t seem as scary to me. In fact, its a word that you might have heard before, even if you are unfamiliar with Sensory Processing. Before I was forced to learn about sensory processing, I always thought I knew exactly what the term meant. In my attempts to define the Tactile System without medical terms, I would describe it as our ability to sense the world around us through our touch. It allows us to interpret our world through our hands, our feet, our skin, and our entire body. We interpret EVERYTHING through our tactile system. We receive information from our tactile system through our skin (from head to toe) to gauge everyday sensations such as temperature, vibration, pressure, itching and pain. You can see why the tactile system is such an important area to develop in all children. It allows children (and adults) to feel the world around them. A healthy tactile system brings joy and excitement while deficits can cause so much frustration. As an educator, I always thought tactile meant one thing… hands on learning. Little did I know, it meant so much more. I had no idea that our ability to process tactile input was directly related to our ability to visually discriminate, motor plan, and have appropriate body awareness. More importantly, I did not know the tactile system was invaluable in developing emotional security, social skills and academic learning. When you think of the word “Tactile”, what image comes to mind? For many, it is an image of children getting messy. Its playing in the sand, feeling a soft animal, running your hands through cold water, or learning through touch. As I mentioned before, the tactile system is required for children to coordinate, organize, discriminate and interpret touch appropriately. The problem occurs when a child is either over or under responsive to this input. As an educator, I remember vividly the children that sat in my room and would suddenly (without known reason) reach out and pinch, hit or push another child. They weren’t mad. The weren’t being mean. Their Tactile System was in need of input. I’ve also seen children refuse to sit in a seat. I had one student, who NEVER sat down. He couldn’t explain his need to stand, he didn’t understand he couldn’t sit down, and sadly neither did I. In my teacher training, I was taught behavior and classroom management to deal with these behaviors. What I wasn’t taught, was strategies to provide those children with the sensory input they required. 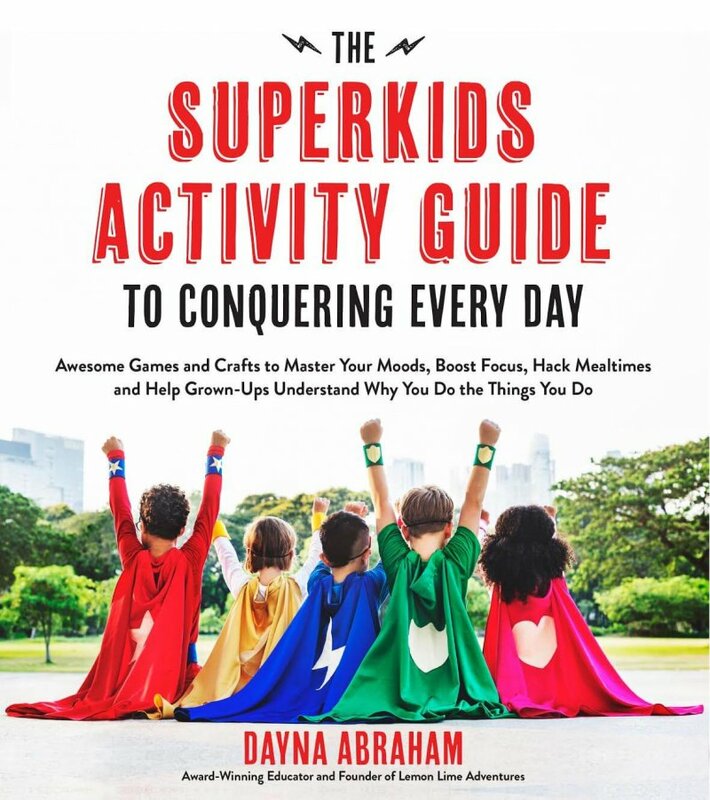 In fact, it wasn’t until my own son started getting older and it was no longer age appropriate for him to eat with his hands or hit his brother on the top of the head as he walked by, that I realized I needed to learn more. Until I learned about Sensory Processing, I never knew that the behaviors I saw in my own son could be related to something more than just poor behavior management. Sure, he had always been fidgety, always touched everything, had poor impulse control, and had extreme mood swings. But, honestly, I thought I was just being a bad mom. Now, I know differently. Now I know it is so much more. My most vivid memory is of Legoman trying to get out the door for school each morning. There was yelling, crying, meltdowns. All over… His Socks. They hurt. They didn’t feel good. They irritated him. I will never forget the day he came down the stairs and told me…. Mom, I can’t find any happy socks. My heart melted. Learning about the tactile system through Legoman’s occupational therapists and online resources has allowed me to see his behaviors in a new way. I am constantly learning ways to provide him with input his body needs. Remember, Sensory Processing is Complex. It is different for every child, because every child is unique. The problems arise when a child either seeks or avoids vestibular input. 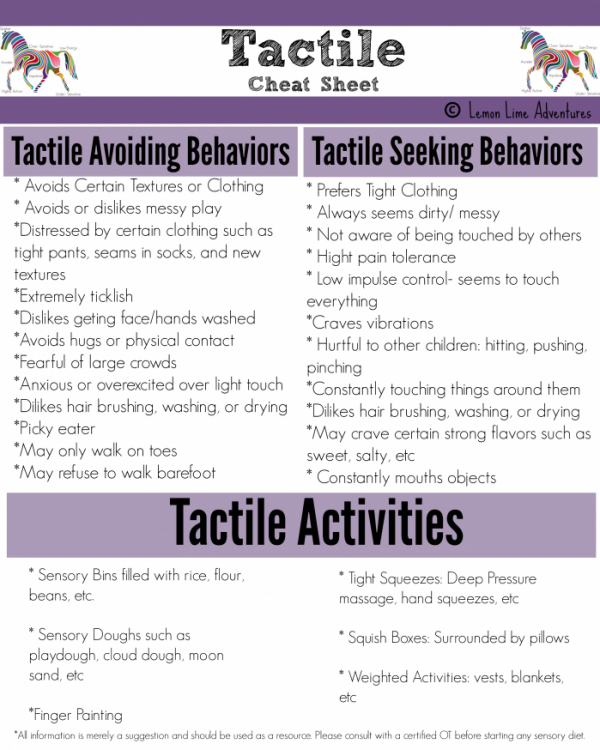 For your convenience, I have compiled a Tactile cheat sheet listing behaviors you might see if your child is with avoiding or seeking this type of input. 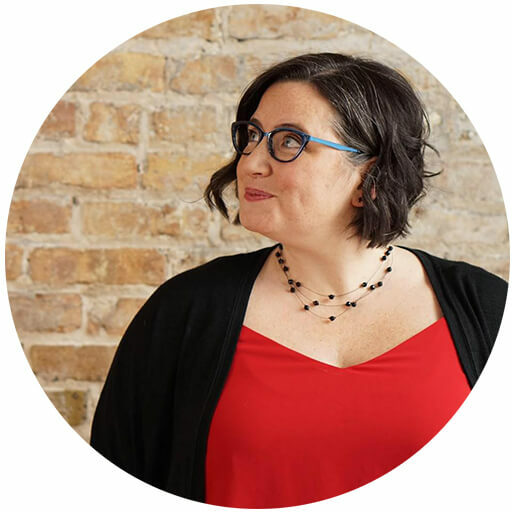 Now its time to hop over to my good friends at The Inspired Treehouse, where they are sharing their tips as Pediatric therapists to explain the Tactile System and why it is important to the growth and development of all children. Sarah from Little Bins from Little Hands has a fabulous series called 40 Days of Sensory Bins that is filled with tactile experiences ranging from clean to messy, to meet the needs of all sensory needs. I love how A Sensory Life breaks down some Tactile Play Activities into categories: Dry Textures, In-Between Textures, and Messy Textures in order to include the range of sensory needs. My good friends at North Shore Pediatric, have a wonderful list of activities to provide Tactile Input. Do you know a child that seeks or avoids tactile input? Do you have a child with sensory needs? Has this post touched you in some way? I would love to know! Please send me a message or leave a comment. It helps when we know we are not alone. Click the picture below to join our Support Group for Sensory Needs. 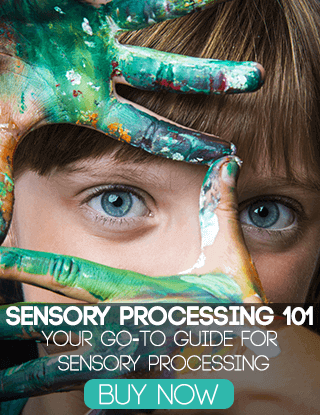 Make sure you don’t miss the next in the series about Sensory Processing. We can connect on Facebook, Twitter, Google+, Pinterest, Instagram or subscribe by email in the sidebar. This is an awesome post and I will be sharing it in many places. I can so relate to you, as a mom, thinking my child was misbehaving, not really understanding why he did the things he did, why he seemed to need to touch everything, not always gently, could not sit still. But when we knew better, we did better, right? And now we are helping others to understand their kids behavior and needs so much better. I had to learn about the tactile feature of SPD all over again when my 2nd child developed tactile oversensitivity. There can be so much variance in sensory disorders. Thank you for this post, this series. I can see you put a lot of hard work into it. Thank you for this series. The way you describe it is easy to understand, which isn’t true of a lot of other sites. My daughter has some minor tactile issues. Lately we’ve been having trouble finding her socks because they “don’t feel right”. It can be frustrating, but I try to remember that it’s likely even more frustrating for her! Thank you. I am so happy I am able to explain it in a way that is helpful. 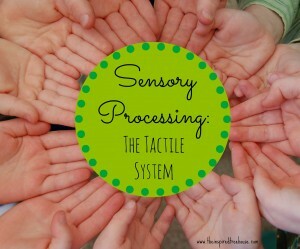 This is an excellent description of tactile sensory needs and what tactile really means! I will be sharing with my readers in my newsletter this week and pinning! Thank you so much. That means so much from you! I value your professional opinion. Thank you for your support! I now have tears in my eyes. This is my children, all three,although mostly the middle boy. I am learning now that it is not about my failure and it is good to hear from someone who has been on the same journey. Having to touch everything, spend ages straightening socks, sitting in the same place on the school carpet so no one touches him, squirming and getting over excited by putting on sum screen or drying from the bath, even refusing to sit and eat but preferring to stand. I have been aware for a few months now that he has sensory needs but am still finding articles like this that make me realise that yet more of the behaviours I see in him are related to these needs. It is a continuing journey, thank you for your input. So excited to find this site! Our daughter that we adopted a few months back has been diagnosed with SPD. We have moved and have not been able to get her back with an OT. She is a joy – yet so impulsive.. it can be a challenge. 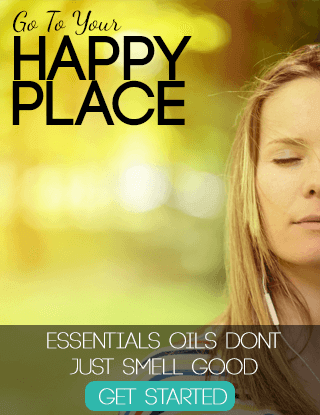 She has trouble settling down to sleep, she is now having issues with transition – even if we are leaving the house to do something she loves, it’s still a challenge and a battle most times. She is very energetic, loves to climb, jump, swim, run, sing, dance! It’s great to find so many ideas to help her in her life journey. I am wanting to learn more about SPD, but I feel I need to set up activities for my little angel – she is almost 3 yrs old – we have had her in our care since birth. Thanks again!!! Thank you my toddler have sensory problems and speak problems to. Now I know why he hits some of his classmates for no reason and some times bite them. Now he is going to OT. 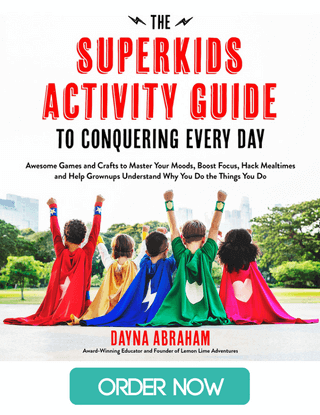 I am so happy that this can be useful information for you and that you have found support for your little guy. Thank you so much for this post! I’m convinced my daughter has tactile sensory processing needs, however I’m not quite sure how to help her. This was a great start and I plan to do further research to continue to help her be more comfortable. Wonderful, I am so happy this as useful to you. Let me know if I can help any more. Thank you for you article, it has reinforced concerns I have had for many years. My 15 son has issues with cream on his which makes treating medical issues very difficult , will only wear soft fabric, is annoyed by seams in socks, does not like dirty hands and this affects him eating when he is out and fast food is on offer that he has to hold. He will first check for a toilet before ordering so he can wash his hands. He will not let other touch his things because he does not want them to get dirty, does not like taking tablets . He also has central auditory processing disorder . It can be very tiring dealing with all of this. Yes. This all sounds all too familiar. I completely understand and hope that you have found a support system to help talk our your thoughts. My son’s teacher sent me the link to this post because we have been wondering about whether he is having sensory issues. He does not like to have his hair brushed, he is a very picky eater–loves salty and sweet but refuses to eat much more than cereal, chips, crackers, chicken nuggets(McDonalds only of course), and squeezable applesauce. He seems to learn best when he can work with his hands and lately is very in to hiding/finding toys hidden in a tub of colored rice. I would love to hear your thoughts on my little man if you can spare the time. Thanks for sharing your experiences with your son! I am so happy that you found this information useful. I would love to help you and chat. Have you had a chance to join the support group. It is a place we can get to know each other better and I can really understand your little guy better. In my work as a Preschool teacher, this information will help me tremendously! Thank you so much! Wonderful! I am so happy that it is helpful. Great info. We have 3 kids in our hose with this with varying degrees. Also as a preschool teacher this ill help me in my classroom with my kiddos there. Wonderful. So happy you find it useful. Feel free to join the support group to be able to ask questions when they come up and send parents to the support group. My darling granddaughter is just like me, and I’ve know about being tactile for sometime, but I didn’t know about the SEEKING aspects. We both seem to have about equal avoidance and seeking traits. Is this weird or normal? Maybe it’s our balance, we need both? How could they coexist? How would you work with one side without tipping the balance of the other?? Or, just do both to continually “feed” both? Now I’m a bit confused, albeit intrigued! Sensory needs can be so incredibly tricky. Is she currently being seen by an OT? That would be where I would start. But to answer your question, YES, you can be both a seeker and avoider at the same time! Thank you so much for this post. I think I found it through Teaching Preschool or whatnot and it was a revelation! I was 99% sure that my 4yearold’s got ADHD but when I looked at your sensory processing checklist the RHS is him (bar a few symptoms)… of course, this does not diagnose it but it makes me see another possibility and explains a lot of his behaviours better. we’re going to see an OT and hopefully get a diagnosis. This post has made it so much clearer and since reading this I have prepared a few doughs (he enjoys playing with them), bought dried beans to hide things in and develop all things tactile, have been more huggy and squishy with him (before i used to think that this would reinforce the “inappropriate” behaviour but I know see that it “quenches” his thirst for touch). I really admire your perseverance and how you can manage 3 kids and a blog. I wish you the best of luck and I’ll be following your adventures closely. My little brother never eats. I am actually 20 years older than him. he is four, almost five – and gets most of his nutrition from foods hidden in shakes. baby food mixes in shakes and grains and so forth. he has about 5 foods he will eat randomly at random times. I have never heard of tactile needs but I have noticed that he does NOT like certain textures. I really think it could be a tactile thing but I do not know how to tell. Any advice? I love http://www.yourkidstable.com for any food sensitivities. If only I had had this information when my son was little! He is now 22 and little was understood about sensory issues when he was a toddler. I can’t express my relief that today’s parents have such amazing resources at their fingertips now, to save them the anguish of trying to navigate their way through the minefield of challenges presented to them on a daily basis. After much research, guilt, grief etc, I taught myself, my family & others how to cope with endless battles of SOCKS, hair cuts, screaming because the ice cream van was 20 minutes away, with Greensleeves full blast! Yes, it continues, but now we “have a clue”, because, thanks to people like yourself who invest so much time & energy into helping others. Sincere thanks. I truly can not tell you how much I have LEARNED from this site, THANK YOU!! I thought I was a bad mom, didn’t know what I was doing and believe me my family (minus my husband) was sure to tell me what they thought!! They have been horrible at times, but my dear husband gets me through it all. I have learned so many ways to HELP my daughter through this site. We have had so many better days, my regret is that I didn’t find this earlier!! Thank you for all the information and time you put into educating us. I really do appreciate everything on this great site!! That is one of the nicest things I have heard in a long time. I can not tell you how much I needed to hear that! I am so happy this information is helpful for other people. Especially since I have have all those feelings many times that you just mentioned, and I never want anyone else to feel so alone. I honestly could cry just reading this. My son is 3 and for the past 3 years it’s been one tough ride. Since the day he’s been born he has been different but I could never put my finger on it. So many have said I wasn’t doing my parenting right and so many never understood until they were with my son everyday for a week. He was never by the book everything on his own terms. We go through so many melt downs the sock thing I could relate to. Even just changing clothes is a task of its own. The random hitting people when he walks by or pinching or any violent outbursts like that that he knows he shouldn’t do but can never control it. I found out a few weeks ago that he had a scensory problem. It’s so nice to hear I’m not the only one and I’m not a bad mom… I’ve had so many sleepless nights over this.. Many fights and tears weather I’m a bad or good parent it’s just really reassuring knowing I’m not the only one struggling so thank you so much for this share! Thank you so much for this. I stumbled across it in a post by a friend on FB. My daughter was diagnosed 3 years ago At the time I had never heard of it but when it was explained, so many things rang true. This was a good reminder of what she needs and feels. I will be sharing with her teacher and others so that many more people can become educated on the subject, especially here in Trinidad and Tobago where teachers are not taught about these subjects. Wow. I am a grown adult now with a 4yr old of my own. As I read this I realize my own issues as a child. I had tag sensitivity and wouldn’t wear many fabrics. Socks would make me nuts at times and not at others. And don’t get me started on clean hands. I have fibromyalgia and was diagnosed a few yrs ago but many say those early sensitive and the pain I had in my shoulders were symptoms. As for my daughter, she is a figiter. Especially with a mole I have on my left arm. It’s wierd but I think it too may be a sign when coupled with some you mention above. Thanks. I will keep watching. Thank you for your amazing articles. I just found this site and, even though I am an adult who does not have a diagnosis of SPD (I do have PTSD), many of the sensory processing issues I’ve encountered are similar to what you’ve described and I recognize a lot of them from my childhood as well. I’m looking forward to learning more and putting some of these things into practice personally as I journey through my own healing process and am learning how to deal with the sensory processing things I’m encountering along the way. I, too, am a mom of a child with SPD and a veteran teacher (16 years). My daughter was diagnosed about a year ago but I am finally finding support beyond our OT. As I read this post tonight, it hit me that when my daughter eats with her hands and touches every single thing on our shopping trip, she is seeking input. The thought never occurred to me. In learning about SPD, I have changed so many things I do as a teacher. Thank you for sharing your story. 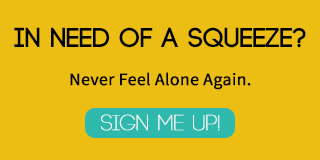 It helps newbies to feel not so alone.